Oh, it's on now. Too bad the game isn't for another, uh, month? 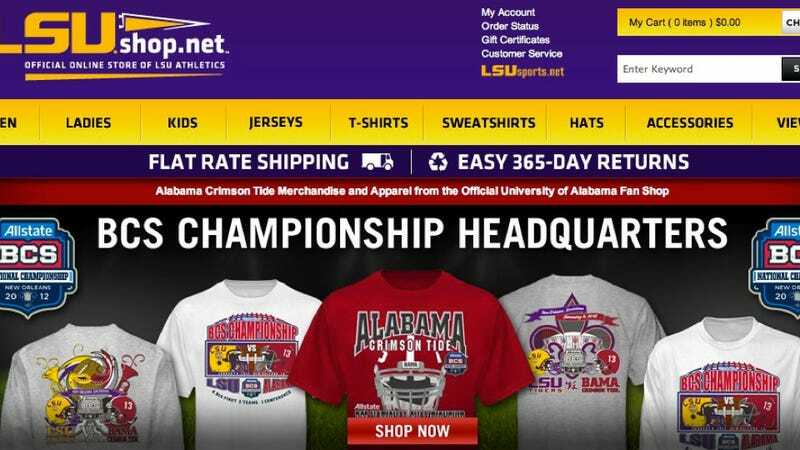 UPDATE, 1:45 p.m.: The Baton Rouge Advocate reports that it wasn't a hack, but rather a website glitch that caused LSU's store to fill with Bama gear. Both schools' stores are run by the same company, and the company would like you to know that Bama had no additional revenue from the evening's crossed wires. Noted. Still war.